Everyone wants to sell more, and automating your sales pipeline will certainly help you do so. It is, however, far from the only benefit to be had! Pipeline management is key to managing and evaluating your sales process. It’s also important for predicting and maximizing your revenue. In other words, in order to meet your sales goals, you have to understand where you currently stand—and where you’re going. Your pipeline can be challenging to decipher and optimize, however. It probably involves multiple customer touchpoints, sophisticated reports, and ever-changing data. And even the most efficient sales team doesn’t have time to manually monitor its pipeline; they’re too busy closing deals! Sales pipeline automation can help you better understand your pipeline, as well as stay on top of crucial touchpoints. By managing your pipeline more holistically, you can take advantage of opportunities to sell, upsell, and renew more customers. Here are a few intelligent integration and automation workflows that can make your pipeline management more intuitive and effective. Sales teams rely on forecasting to develop an action plan for each quarter. These numbers are fundamental to knowing where—and how—your team needs to step up its efforts. Usually, teams use a CRM like Salesforce to generate these reports. But there’s one, big problem: these forecasts are only as good as the data in the CRM. Unfortunately, many sales teams struggle with keeping their CRM up-to-date. There’s a lot of data entry that has to happen every day in order to maintain accurate records and get a robust picture of the future. Keeping this data current can be a challenge—especially for high-volume sales teams! The solution? Make it so easy to update your CRM that there’s no excuse for the sales team not to. Automation and bots can help to make it much easier to update Salesforce as deals move through the pipeline. 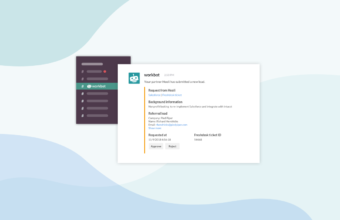 You can use tools like Workbot for Slack to easily log things in Salesforce right from Slack. You can close opportunities, edit the value of a particular deal, and even approve pricing requests. You can also prompt reps to take action in response to key events like demos—a plus for any team that wants to make sure they always have the most accurate information! If you’re looking to increase revenue, don’t forget the power of upselling a current customer. In fact, acquiring a new customer can cost up to 25 times more than retaining an existing one! Existing customers are not only easier to sell to again, but they’re much more likely to buy add-ons or extra services—so it’s crucial that you make the most of every upsell opportunity. To increase your chances of successfully upselling a customer, you want to leverage everything you know about the client and reach out to them in the right moment. 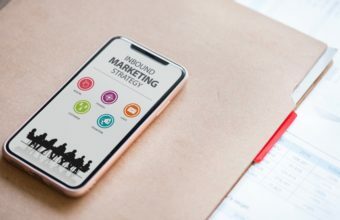 For example, you probably want to know which email marketing campaigns they’ve interacted with recently or whether they have any open support tickets. Ordinarily, this information can be difficult for sales reps to find, because it often lives in other apps. That’s where automation comes in: it can help you create a 360° view of every customer. With automation, important information from apps like Eventbrite and Hubspot can flow directly into your CRM, so you can always see a bird’s eye view of all customer touchpoints. This can help you better identify opportunities for upsell or cross-sell. You can even expand the workflow to include support and ticketing apps like Intercom and Zendesk. To better stay on top of your opportunities, you can also set up automatic Slack notifications for key events. If a customer registers for a webinar, for example, you can receive a notification via DM or in a dedicated channel. These notifications can also be triggered by more sophisticated occurrences, such as when a customer uses up a certain number of their support hours or amount of their project budget. This way, you can reach out right away to make the most of that upsell opportunity! In an ideal world, you could easily triage customers who are coming up on renewal and proactively reach out to the ones most likely to churn. In the real world, however, it can be difficult to determine which customers need a little extra help. After all, you’re a sales rep—not a mindreader! Artificial intelligence (AI) can be a huge help in determining the renewals in your pipeline that are most likely to fall through. Many teams feel overwhelmed or intimidated by the idea of using AI. But it doesn’t have to be difficult; with automation, you can get instant, intelligent insights from your pipeline data. For example, a common AI-based workflow takes data from all of your apps (CRM, support apps, and marketing apps) to create 360° view of each upcoming renewal. This data is then run through an AI platform like Watson, which analyzes it according to certain benchmarks. Watson then generates intelligent recommendations for which accounts to reach out to first. You can even automatically send these reports to the right reps in Slack, so they know as soon as one of their accounts is flagged as likely to churn. As a salesperson, you’re always looking for the latest and greatest ways to sell smarter, not harder. Pipeline management is a fundamental aspect of the sales cycle—so why are you still doing it manually? 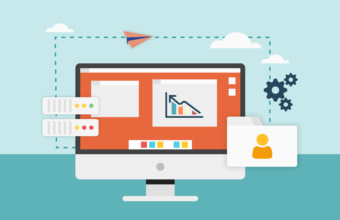 Automated workflows won’t just reduce the administrative work your team has to do; it can also help guide you through the sales cycle more intelligently and efficiently. That’s a win for any team!